Mustard cotton silk saree with gathers . 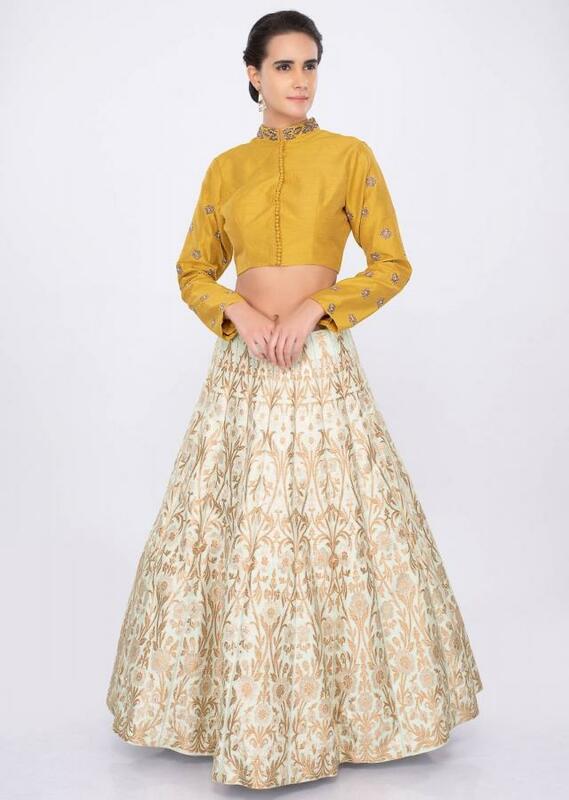 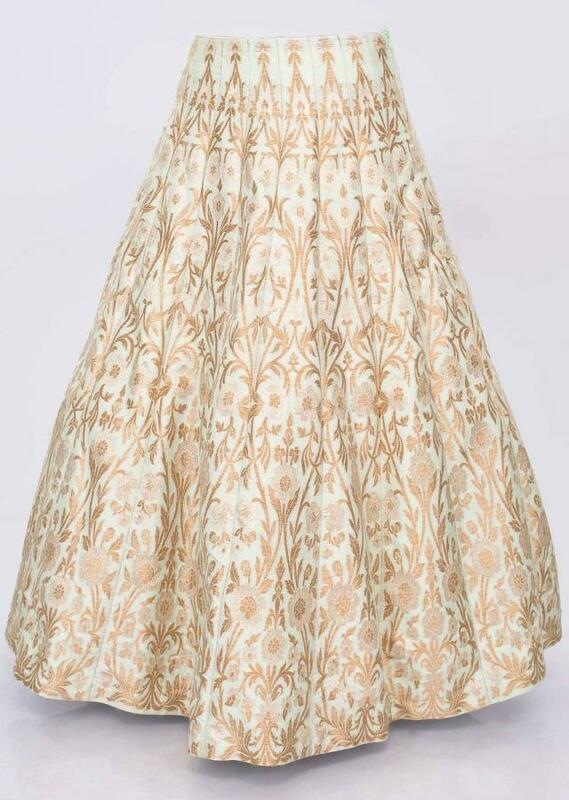 Adorn with zari, zardosi, moti and resham floral butti. Its styled with a detached draped pallo with embroidered border. 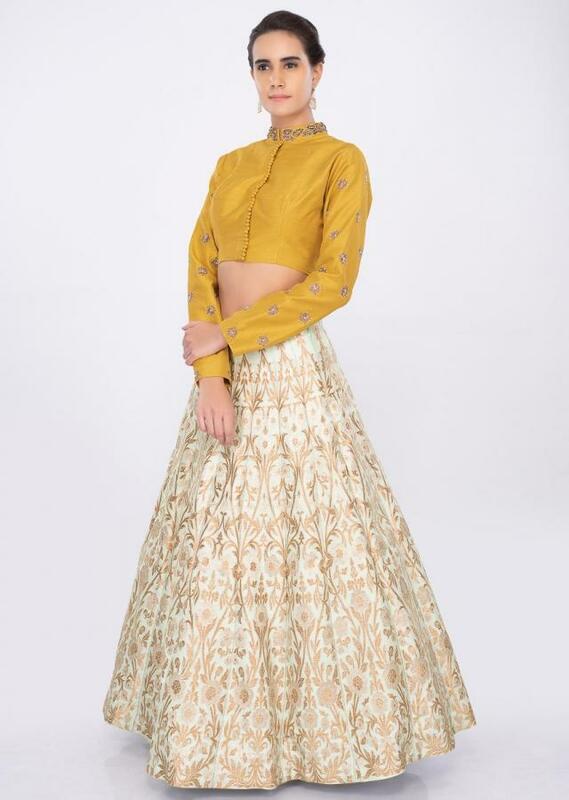 Paired with a cream raw silk high neck blouse with center embroidery in floral motif. 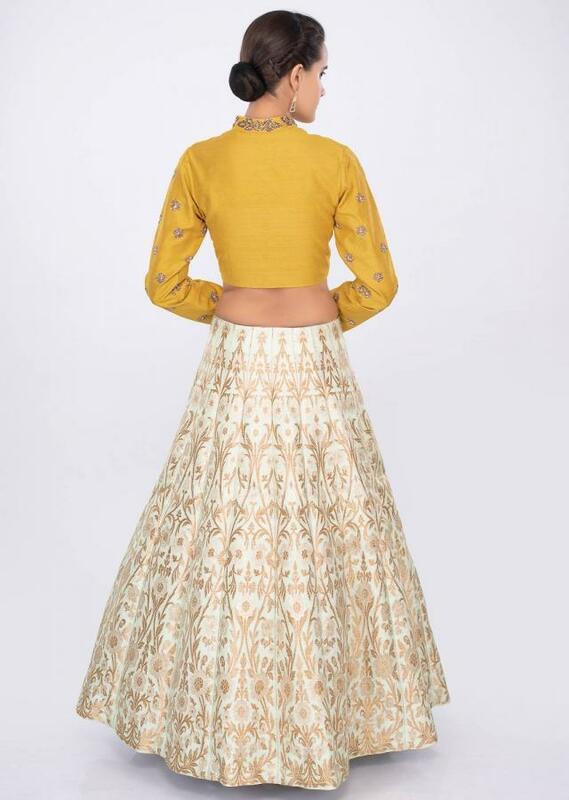 Adorn with zari, zardosi, moti and sequins work.